I was sprawled out on my couch on a warm Friday afternoon in June of 2013 in attempt to escape the piping hot Reno sun and began to wonder what my weekend had in store for me. Low and behold, a text message was delivered to my phone by a dear friend I had somewhat lost touch with since he had moved to away to Portland the year before. 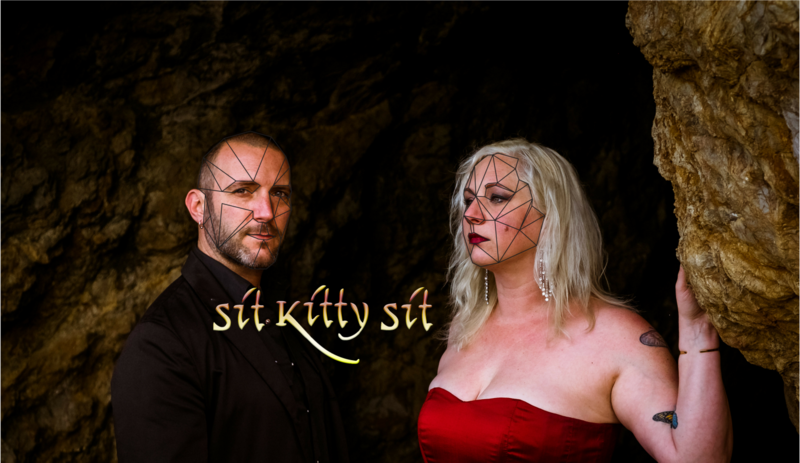 The message said that I was to go to a show at Jub Jub’s (my favorite Reno dive bar) to see a band called Sit Kitty Sit. This wasn’t as much of a suggestion or request as it was a demand. Of course, this only made me more curious. I had heard of the band being in town, but hadn’t had a chance to actually listen to what they sounded like. None-the-less, I accepted this arm-twisted, long distance invitation happily with instructions to tell the band that Freddy sent me. My friend’s name was NOT Freddy. When I arrived to the bar, there seemed to be something a bit different in the air. Something … new. Something bolder than I was used to. I didn’t pay much attention to it then, but now I recall that feeling very vividly. The night began for me as it usually did. Some whiskey. Some beer. Some chatting with framily. The usual pleasant time you would find yourself having somewhere familiar with lovely people and strong drinks. Then, they took the stage. It’s not something I noticed right away but as soon as the first gracefully striking chords were hit on the piano, I fell in love. Following it was a powerful and mighty force from the drums. Then …. the voice. A voice with angelic highs and elegant bounties into wondrous lows. Nothing could have prepared me for the way I felt during their first few songs. I could feel the strength and happiness in places just as much as I felt the sorrow and struggle in others. It was forceful. Moving. Jarring. Comforting. Inspiriting. It felt as if I was watching a play I had always cherished finally being acted out in front of me and yet it was brand new. During downtime between songs, the pianist/vocalist/Goddess-of-a-front-woman (Miss Kat Downs) began to chat with the crowd between songs. It’s something I always have admired from musicians, being able to connect and interact with their audience. Making them laugh as easily as they can force their feet to dance. The ability to give their listeners more than they had come for. Indeed, I was. In fact, I’m certain I couldn’t get rid of them even if I wanted to. That night, nearly five years ago now, brought me some of the most happy and powerful moments of my life. The mere mention of “Freddy” brought me close to two of the most talented, loving, honest, caring, supportive and passion-driven people I know. Kat and I kept in close contact after the show. So close that she and Mike (their skilled animal of a drummer) helped me through a very tough breakup several months later. So close that I began to visit them in San Francisco when I had a whim to get out of town. So close, in fact, that I ended up performing backup vocals on their album Everlasting Fire, which in itself was a life-altering experience and again at their album release. I could easily write novels about each experience and how important they became to my life. They’ve shown me love, friendship, and strength that not everyone is so lucky to find from people who could have very easily continued to be talented strangers. However, these two aren’t your average talented strangers. They are Sit Kitty Sit.